Wonder Woman actress Gal Gadot costume in Batman Vs. Superman movie leaked online. Details of the highly-anticipated suit for the Amazonian princess was revealed by Comic Central City, claiming that the new costume will resemble the one featured in the Injustice: Gods Among Us video game, exactly what was issue #600 comic book costume looked like. However, the mockup photo of Gal Gadot wearing the costume must be taken with a grain of salt, hence this was not released by Warner Bros. and DC. Costume designer for the Batman Vs. Superman movie Zack Synder teased the fans in his interview with Forbes confirming that the redesigned costumes are already done and that he has the picture of the new Bat Suit along with the new Wonder Woman actress Gal Gadot's Amazonian princess costume. "The thing also that's really fascinating for me is that, even just in the tests we've been doing, the costumes, right? You basically have Batman and Superman - and this is without Ben [Affleck] and Henry [Cavill] in the costumes, but just like the stand-ins, just testing to see what the costumes look like. And you have them standing there and they're standing in the same shot - and then we have Wonder Woman, you know, all three of them in the same shot. Even just for a test, you really have to go, "Wow, that's crazy!" Not only is it the first time that I'm seeing them, it's the first time they've ever existed together on screen in a movie. And that's kind of a huge deal. Even just Batman and Superman standing next to each other... [I]t's kind of epic. You do sort of sense the weight of the pop culture iconography jumping out of its skin when you're standing there looking at the two of them and Wonder Woman. It's crazy. But it's fun. I mean, I have the first photo, I've got it in my archive because I was like, "Okay, I better keep this, it's gonna be worth something," [laughs]!" Zack Snyder added that the photos are on his office and that he wanted to share them for the world to see, however he can't in any way. "Because I take a picture of the suit with my camera- I'm actually staring at one right now in my office. And it's just massive on my wall in my office and it's epic, let me tell you! And I'm like, "God, I want to send this to the Internet immediately." But I know I'm not allowed to [laughs]! I do value the sort of excitement of the way the film is [revealed]... the pieces that are released and sort of trickle out to everybody, and those reveals are exciting milestones for us." 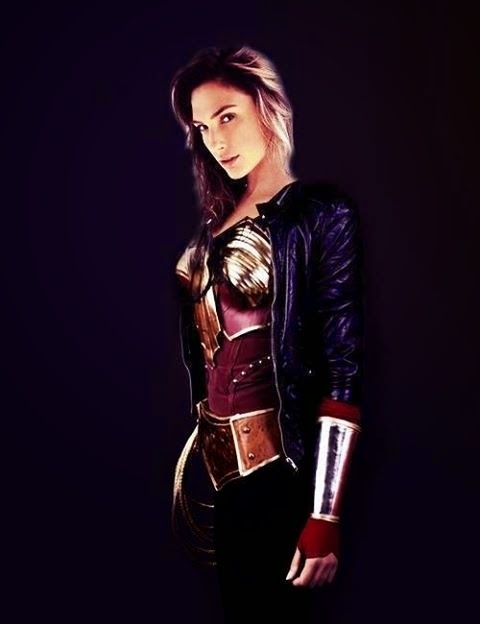 For more of the latest and hottest news on Wonder Woman actress Gal Gadot newly designed costume, keep tuning in here at Kpopstarz.com.